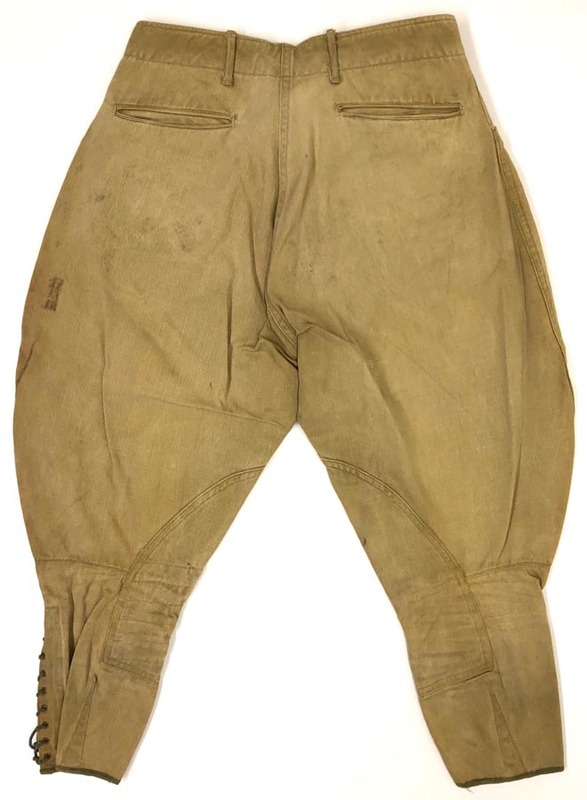 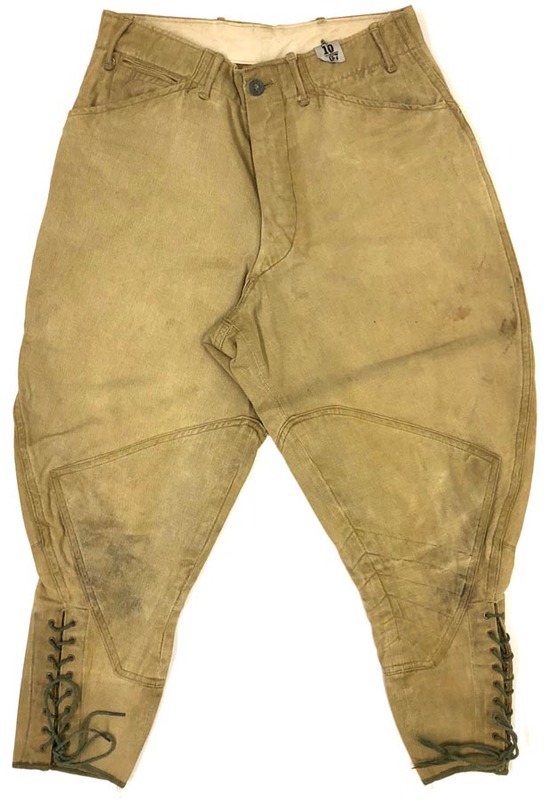 PHYSICAL DESCRIPTION: This pair of WW1 US Army Doughboy cotton Breeches are in nice condition showing some soiling but no damage. 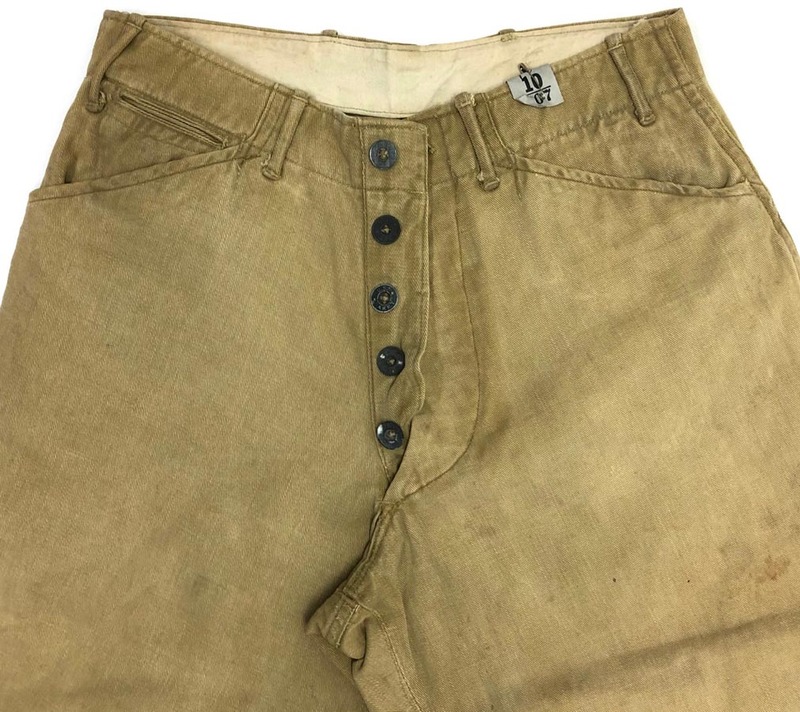 Breeches measure 30 inch waist and a 21 inch inseam. 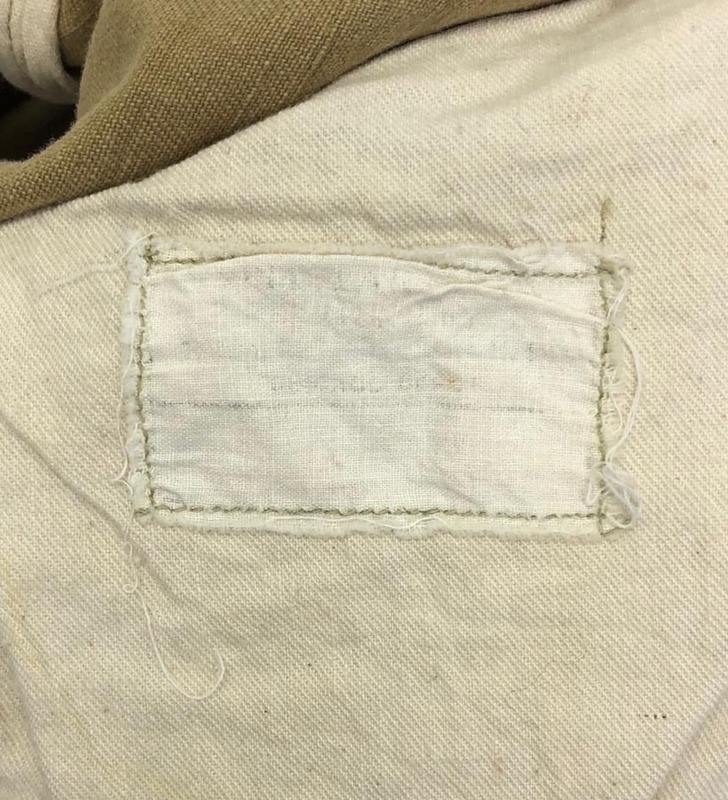 Faded ellegible quartermaster tag.